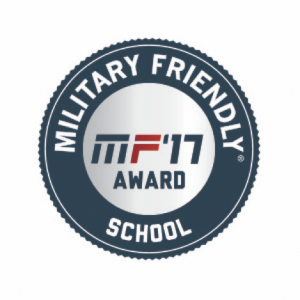 The University of Florida has been designated a 2017 Military Friendly School by Victory Media, the leader in successfully connecting the military and civilian worlds. The University of Florida is proud to count approximately 800 plus veterans among our undergraduate and graduate students. Many staff at the University of Florida are working hard to make the University of Florida the most veteran friendly and effective campus in America. Examples of some issues that student veterans may face for which counseling can be helpful include sleeping problems, relationship issues, alcohol or drug use, feeling sad, feeling stressed or nervous, hypervigilance, anger, challenges transitioning to your new role as a student, having difficulty relating to others, and career confusion. At the University of Florida Counseling and Wellness Center, you can expect your counselor to be affirming and accepting, listen to your concerns, provide you with confidential care, and assist you in connecting to other resources. Although confidentiality may have been a concern with receiving psychological/counseling services while an active member of the military, such concerns may no longer be relevant in your current role as a University of Florida student. Still, our counselors are very willing to discuss any concerns about confidentiality in order to assist you in deciding whether or not you are interested in receiving services. Learn more about confidentiality at the CWC. Here are four key resources that provide a base for support and information for all of our student veterans.